My PC takes forever to start up! – Is there anything I can do to make Windows boot faster? If you’ve had your computer or laptop for a while now you have probably noticed that it’s not quite as fast as it used to be and it’s now starting to show it’s age. What used to take a matter of seconds for Windows to boot up, now seems like it takes FOREVER for you to reach the windows desktop. It’s unfortunate but, most people are under the misconception that just because they have owned their PC for a couple of years and because their computer has gotten really slow, many seem to think that it’s time to go out and buy a new one because they think that the hardware in their PC has become degraded & worn down. Is this true? The Truth of the Matter: – When your computer slows down to a crawl, there are usually reasons why this is happening and believe it or not, just about 9 times out of 10 it has to do with the Windows Operating System and the lack of regular maintenance and upkeep not being performed by the End-User and it’s not the actual computer itself! 1. Run Your Anti-Virus and Anti-Malware Software: Viruses, Malware and Spyware can wreak all sorts of havoc on the Windows Operating System and cause your PC to perform very slow and sluggish and in most instances, they will also impact the amount of time it takes Windows to start up. 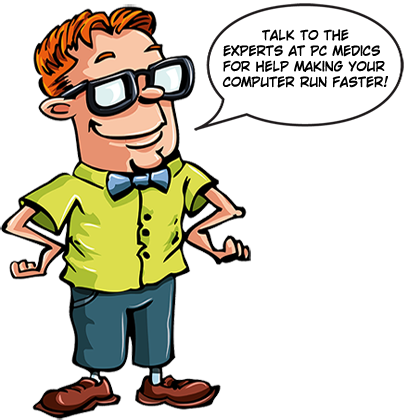 Usually, when a computer is acting wonky and starts slowing down, there’s a very good chance that you have a virus or multiple malware infections on your PC. – Virus and spyware infections will always hijack windows system resources and re-allocate them for their own malicious intent! 2. Remove Unwanted and Unused Junk Programs: Over time, all end-users tend to accumulate a wide variety of unwanted and unused programs that have been installed in their system. If you’re Not using it, get rid of it! 3. Limit Programs that Start Up with Windows: Pretty much any time that you install a program, whether it be iTunes, ADOBE Reader, or even your HP Printer Software, the program will always instruct windows to permit the application to start when your computer first boots up. This creates a situation where over time, you will have a gazillion programs that are all starting when you first power on your PC which effectively kills your PC’s boot up time! You can limit Start Up Programs by using the Windows “msconfig” feature and you can access this by a couple of different ways. If you are running Windows XP, go to start and use the ‘Run’ feature and type in MSCONFIG and hit enter. If you are Using Windows Vista, Windows 7 or Windows 8 then just use the “Search” Feature and type MSCONFIG and hit enter! Regardless of what version of Windows you are using, once the MSCONFIG window opens up you will see a tab at the top that says “Startup” click on that and you will see everything that starts when windows first loads. You will need to take caution when using this feature because you could inadvertently prevent a startup process such as a system driver for your computer that is needed for windows to function or start correctly! If you don’t know what it is and what your deselecting then it’s best just not to tamper with it! However, things such as Adobe Reader, iTunes, Java, Quicktime and other secondary programs can be safely deselected without concern. 4. How Full is Your Hard Drive? 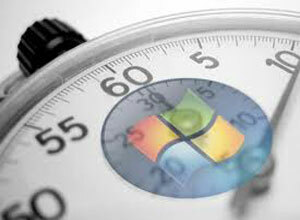 – Did you know that when any Hard Drive reaches 30% capacity it starts to tank the performance of windows? Most people don’t know this but, a hard drive is the slowest component in any PC and it always has been. If your drive is almost full, this would explain a lot about why your PC’s is not performing the way that it should be. Invest in an external hard drive and transfer data files that take up a lot of space such as pictures, movies and music files to the external drive and you’ll be surprised just how much faster your computer will work. 5. Consider Increasing Your Systems Memory: If you are running Windows XP or your Windows Vista or Windows 7 machine that has limited memory, you might want to think about increasing your systems RAM for better performance. Over the past couple of years, hardware costs have come down drastically and you can easily obtain 4GB of Memory for about $80.00 – $100.00 in most instances. About the Author Campbell McArthur is CEO and founder of PC Medics On Call, an on-site computer repair service for families and businesses in Wilmington, NC. – Campbell is an accomplished IT Professional, Web Designer and SEO who holds a degree in computer science from ITT Technical Institute. As a person, Cam tends to be quite extroverted and a bit of a chatter box. We can only assume that this stems from his enthusiasm and passion towards people, his work and the selfless desire he has towards helping others. Cam’s never been much of a social media person in the past but, he’s been working really hard trying to turn that around lately. Why not stop in and show him some love by… Liking us on Facebook, Following Us on Twitter or Circling Us on Google+?